In 1854 Joseph and Ann Johnson arrived in Minneapolis from Farmington, Maine, with their daughters, Nellie and Annie. They purchased 160 acres from the US government bordered approximately by today’s Nicollet, Grant, Lyndale, and Franklin Avenues for $1.25 per acre. The family built a simple home at the edge of the pond in what is now Loring Park. 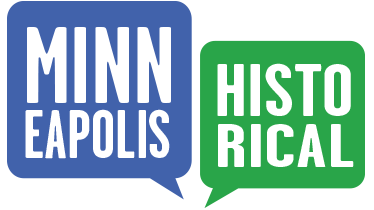 Twenty years later, the Johnsons sold much of their land to the City of Minneapolis. A stone in the park marks the site of the original homestead. At his death, Joseph Johnson gave the balance of his property to his daughter, Nellie. She married Edward P. Wells and moved to Jamestown, North Dakota, where Edward operated a bank. However, she retained ownership of the remaining Johnson property. 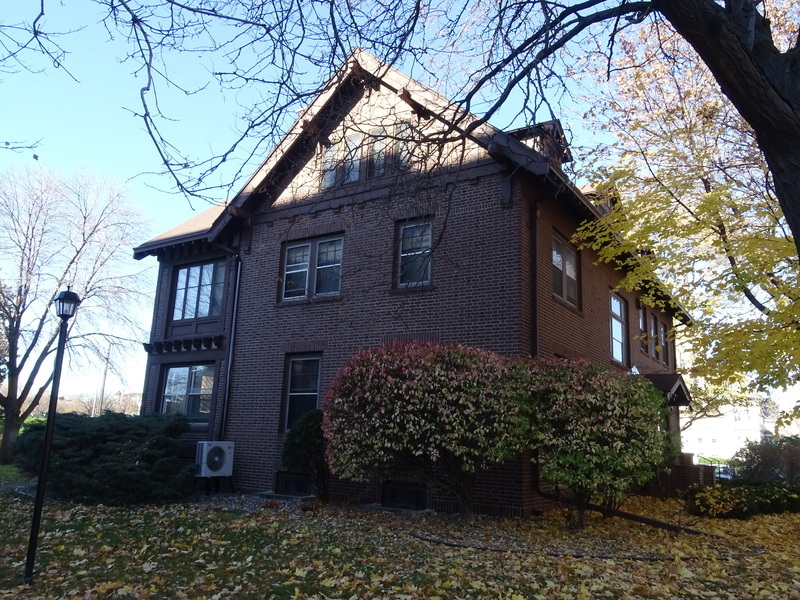 In 1901 Nellie and Edward moved back to Minneapolis and lived in a house at 230 Oak Grove with their four children. Florence, youngest of the Wells children, received a portion of the original Johnson land from her parents as a wedding gift when she married Charles G. Ireys in 1907. The Ireys built 401 Groveland Avenue in 1908. Ireys was a Bostonian who owned a grain elevator company operating principally in the western Dakotas. The Ireys chose architect William M. Kenyon to design their house. Kenyon was then chief architect for the Soo Line Railroad and was the supervising architect of the Soo Line Building in downtown Minneapolis. Another notable design by Kenyon is the 1902 John and Minnie Gluek House at 2447 Bryant Ave. So. The Ireys house, in the Georgian Revival style, was completed in 1910 and cost $12,000. Florence Wells Ireys maintained the home for 60 years before transferring it to The American Red Cross. She died in California at age 94 in 1974. In 1982, The Red Cross sold the house to Spectrum Property Partners, which remodeled and rehabilitated the house as office space. 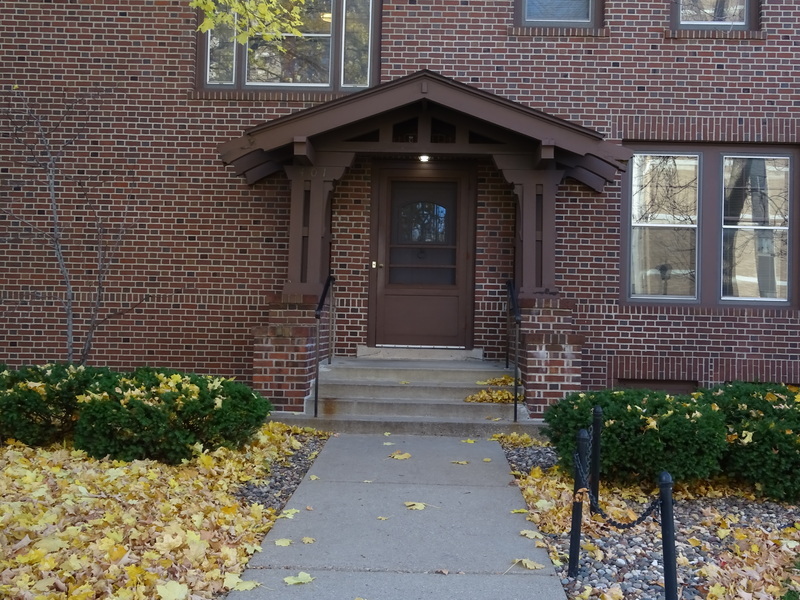 photos by Richard L. Kronick, “401 Groveland Avenue ,” Minneapolis Historical, accessed April 20, 2019, http://minneapolishistorical.org/items/show/134.